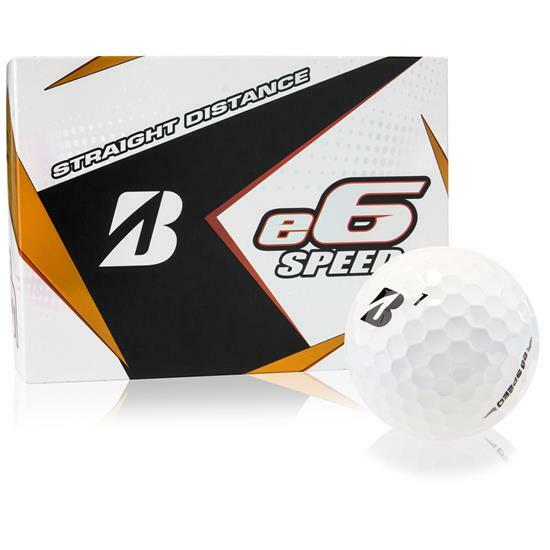 Improve your scoring with optimized velocity in Bridgestone’s e6 Speed Golf Balls. Every layer of the ball is designed to improve your speed, flight path, and distance. Ordered a dozen balls that were different brands and colors. All 3 came quickly and looked awesome. It was great to be able to match the logo to the personalities. First rate and would highly recommend. I find this site is always truthful on product offerings, prices are good, if you frequent the site you will find great bargains. The personalize feature is what I am always looking for. 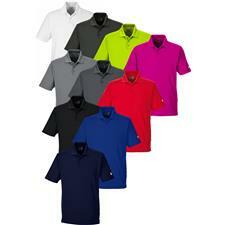 Good price, variety of products to choose from. Shipping is always beats their estimates! 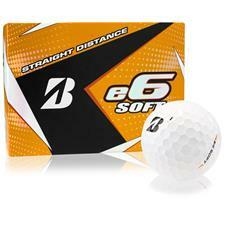 I just tried the bridgestone e6 ball and very happy with them. Previously I was using the taylor Project A, Bridgestone is cheaper. I ordered 4 dozen E-6 golf balls with different print on each dozen. It was easy to order on line and I received my balls in less than a week. The price was good too. Great job golfballs .com, this was my second order from you and I have not been disappointed. Great service and product. Thanks. Soft, yet long. For the money they cannot be beat. I have tried a lot of golf balls in my life, but this one is the keeper! Personalization is terrific.